Neuropsychiatry, Keio University School of Medicine. Professor Masaru Mimura specializes in psychogeriatrics and is a member of the Keio Global Research Institute's longevity cluster. His main research theme "is thinking of ways to prevent dementia and depression in super aging societies through epidemiologic studies." 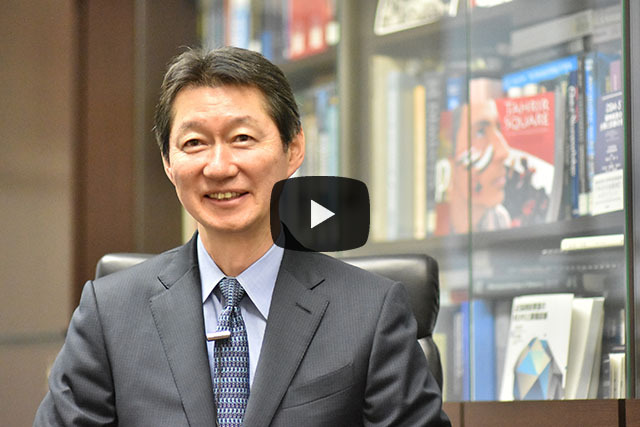 Professor Mimura is undertaking epidemiological research at three locations in Japan, on the three topics of food and nutrition; exercise; and finally achieving happiness, an increasingly important issue in super aging societies. Masaru Mimura and his colleagues are aiming to link their findings with ways of preventing dementia or depression. Notably, Dr Niimura from his group, is compiling the results of this research that is being conducted with the cooperation of many specialists. Please contact the KGRI if you are interested in finding out more about Masaru Mimura's research. According to the world health organisation (WHO), depression is the greatest single cause of disability worldwide. Therefore, understanding mechanisms leading to depression and how to minimise its risks is very important. Several studies have reported that fish consumption is associated with a reduced risk of depression. However, these studies remain to be controversial due to inconsistencies between some of them, the method that they used to assess depression and because none have established a clear dose that is required for the observed effects on depression. A group of Japanese researchers has recently demonstrated that moderate fish intake is recommended for preventing depression in aged Japanese individuals. Yutaka Matsuoka and colleagues from the National Cancer Centre Japan, the University and Toyama and Keio University School of Medicine, investigated the association between fish consumption and the risk of psychiatrist-diagnosed major depressive disorder (MDD) in Japan. The study involved 1181 individuals (aged 63-82) for whom dietary information had been available over the course of up to 25 years, because they had taken part in the Japan Public Health Centre-based (JPHC) Prospective Study. Psychiatric assessment was conducted for each of these individuals using both standard questionnaires and assessment by trained psychiatrists. The authors assessed the active ingredients in fish that are thought to mediate the anti-depression effect which are n-3 polyunsaturated fatty acids (PUFAs) such as eicosapentaenoic acid (EPA) and docosapentaenoic acid (DPA). The study found that the relationship between fish intake and MDD does not follow a simple linear profile, but rather a so-called reverse J-shaped association is observed. A decreased risk of MDD was observed in individuals with a median intake of 111 g/day of fish, 307 mg/day of EPA or 123 mg/day of DPA. The authors conclude that "emerging and compelling evidence suggests that diet and nutrition are extremely important factors in the high prevalence of depressive disorders, and our findings provide a basis to further examine the effectiveness of fish and n-3 PUFA intake for the prevention of MDD in both aged individuals and those with a history of major physical illness." Authors: Yutaka Matsuoka1,6, Norie Sawada2, Masaru Mimura3, Ryo Shikimoto3, Shoko Nozaki3, Kei Hamazaki4, Yosuke Uchitomi5,6, Shoichiro Tsugane2. Title: Dietary fish, n-3 polyunsaturated fatty acid consumption, and depression risk in Japan: a population-based prospective cohort study. Division of Health Care Research, QOL Research Group, Center for Public Health Science, National Cancer Center Japan, 5-1-1 Tsukiji, Chuo-ku, Tokyo 104-0045, Japan. Epidemiology and Prevention Group, Center for Public Health Science, National Cancer Center Japan, 5-1-1 Tsukiji, Chuo-ku, Tokyo 104-0045, Japan. Department of Neuropsychiatry, Keio University School of Medicine, 35 Shinanomachi, Shinjuku-ku, Tokyo 160-8582, Japan. Department of Public Health, Faculty of Medicine, University of Toyama, 2630 Sugitani, Toyama, Toyama 930-0194, Japan. QOL Research Group, Center for Public Health Science, National Cancer Center Japan, 5-1-1 Tsukiji, Chuo-ku, Tokyo 104-0045, Japan. Innovation Center for Supportive, Palliative and Psychosocial Care and Department of Psycho-Oncology, National Cancer Center Hospital, 5-1-1 Tsukiji, Chuo-ku, Tokyo 104-0045, Japan.